You can also stay up to date by joining our email newsletter and by following us on Facebook, Twitter and Instagram. 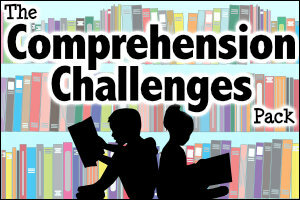 The Comprehension Challenges Pack was published. New ‘Lighthouse’ themed letters were added to the Display Letters Pack and the Cursive Display Letters Pack. Another 25 pictures were added to the Images to Inspire gallery. 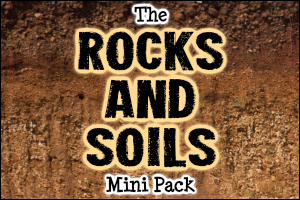 The Rocks and Soils Mini Pack was published. 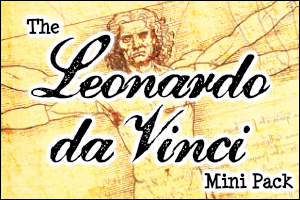 The Leonardo da Vinci Mini Pack was also added to the site. A new set of 365 Wonderful Words was added to the Wonderful Words Pack. An overview document was created for our members, listing the packs available on Teaching Packs and the dates they were last updated. This can be used to keep a record of the packs that members have downloaded, so they always have an up to date copy. A new Easter Bunny template was added to the Easter Pack. 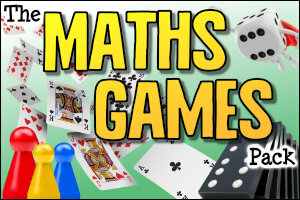 The Maths Games Pack was published. Editable presentations are now available in the Number Pack, the 3D Shapes Pack, the Percentages Pack and the Recount Writing Pack. 25 new pictures were added to the Images to Inspire gallery and we also added a bulk download option for members. The Explorers Pack was published. The Chinese New Year Mini Pack and the Forces Mini Pack were both added to the site. We updated our Early Years Essentials Pack, offering some of the resources with an alternative number font. The Subtraction Pack was published. New pictures were added to the Images to Inspire gallery. The Microorganisms Mini Pack was also created. New audio quizzes were added to the Decimals Pack. The Halloween Mini Pack was published. We added some new audio quizzes to our popular Fractions Pack. The Van Gogh Mini Pack was added to the site. The World War 1 Pack was published. Our new Images to Inspire gallery was added to the site! The Addition Pack was published. A new Autocue / teleprompter was added to our collection of Teaching Packs Tools. Fraction Wall Families posters were added to the Fractions Pack. New ‘Whales’ and ‘Gaeilge’ bunting were added to the Bunting Pack. New Kangaroo, Hedgehog and Whale letters were added to the Display Letters Pack and Cursive Display Letters Pack. Smaller card versions of the activities were added to the Early Morning Activity Pack 3. The Materials Mini Pack and the Rainforests Mini Pack were both published. Our third Early Morning Activity Pack was also finished. The School Life in Malawi Pack was published. A Random Number Generator was added to our collection of Teaching Packs Tools! We added The Electricity Mini Pack to the site too! A set of ‘Afrikaans’ bunting was added to the Bunting Pack. Thanks to Wayne for this request. The World Cup Pack was created to celebrate the popular sporting event. A new Teaching Packs Tool was added – a classroom jukebox! It plays 60 different types of background music and 60 different sound effects! We also published the Dinosaurs Pack! The Mountains Mini Pack was added for our members. The Solids, Liquids and Gases Mini Pack was also published. Hundreds of different styles of bunting are now available in the Bunting Pack. The Food Chains Mini Pack was also published. We also added our first two Teaching Packs Tools… a classroom stopwatch and a random pupil picker. The Commonwealth Mini Pack was added, in preparation for the Commonwealth Games in Australia. The Myths and Legends Pack was published. The Easter Pack was added to the site. The Healthy Living Mini Pack was published. Eight new Listening Challenges were added to the Listening Skills Pack. The Goal Setting Mini Pack was added in time for those planning their new year’s resolutions! The Multiplication Pack was published. We also added twelve new audio quizzes to our popular Times Tables Pack. A new Winter Olympics Mini Pack was also created to accompany this exciting sporting event! The Statistics Pack was added to our Maths resource collection. A large collection of new resources was added to the Christmas Pack. A new type of handwriting paper with yellow highlighted lines was added to the Paper Templates Pack. Thanks for Mary for this suggestion. The World War 2 Pack was completed. The Paper Templates Pack was also added to our collection of resource packs. We added a Rivers Mini Pack to our collection of Geography resources. The Life Cycles Mini Pack was also added to the site. Some ‘Days of the Month’ labels were added to the Early Years Essentials Pack. 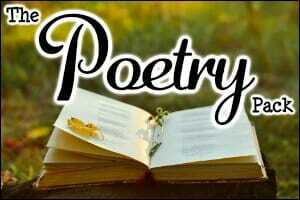 The Poetry Pack was added to our collection of English resources. We added alternative versions of our Number Bonds cards (in the Number Pack) and Bingo Cards (in the Early Years Essentials Pack) with a different font. Thank you to Marianne for this suggestion! The Tudors Pack was published. The Great Fire of London Mini Pack was created. We also upgraded and added some new features to our Community Forum. The Holiday Activity Mini Pack was added to our collection of resources. A new set of ‘Calculate the Change’ resources was added to the Money Pack. Some new cover pages were added to the Early Morning Activity Pack for those who use these resources for early finishers. The Length Pack was published. The Transition Mini Pack was added to our collection of mini packs for Plus members. We also added a new Light Mini Pack. 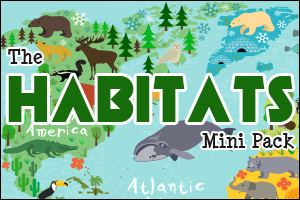 Another new Mini Pack was added to our collection – The Habitats Mini Pack! The Money Pack was published. We added some new Letter and Number Boards to the Early Years Essentials Pack and some Picture Frame templates to the Classroom Essentials Pack. We also created a new search tool to help our members find individual resources more easily. Find out more about Teaching Packs Plus here. Following the success of our Display Letters Pack, we created a new Cursive Display Letters Pack with 350 new sets of printable letters! We also added a new Mini Pack – The Similes and Metaphors Mini Pack! The Early Years Essentials Pack was finished. Printer-friendly versions of our crosswords were added to the Wet Play Pack. We added four new sets of Australia-themed letters to the Display Letters Pack. The Times Tables Posters have been updated for use in Scotland, with all calculations in the format 1x, 2x, 3x etc. A new ‘Matching Times’ resource was added to our Telling the Time Pack, along with editable versions of our Train Timetables challenges. The Division Pack was added to our range of Maths packs. 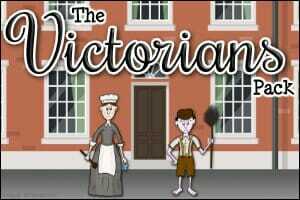 We added another new History pack to our collection… The Victorians Pack! The Negative Numbers Pack was added to our set of Maths resources. Three new resources were added to our Goody Pack… a Noggle Maths display activity, mindfulness colouring pages and some Hidden Pictures inference printables. A Newspaper Reports Pack was added to our collection of English packs. Ten new ‘Christmas’ themed sets of letters were added to the Display Letters Pack. Three ‘Newspaper’ styles were also added, along with four ‘Candy’ themed styles. Our TV Guides resource (in the Telling the Time Pack) was updated to include sets of questions that refer to timings using words (e.g. twenty minutes to three). Another new Maths pack was added to the site – The Area and Perimeter Pack! We added The Ancient Maya Pack to our collection of History resources. Two sets of ‘Robins’ display letters and five new history themed sets were added to the Display Letters Pack. We also added other sets, including ‘Shapes’, ‘Mosaics’ and ‘Letters’. We added some new Fractions, Decimals and Percentages posters and bookmarks to our Fractions and Decimals Packs. 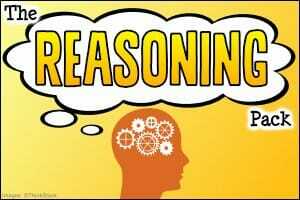 The Reasoning Pack was published for our members. A new sets of ‘Toucans’ display letters was added to the Display Letters Pack. An editable version of the ‘Changing Words’ display resource was added to the Growth Mindset Pack. Member Treats – All Teaching Packs members now have access to a special selection of discounts and offers for other educational sites. We will be updating our treats regularly! The Teaching Packs Forum was also upgraded. The Plants Pack was added to our collection of Science packs. The Internet Safety Pack was published too. A set of ‘Art / Artists’ themed letters was added to our Display Letters Pack. 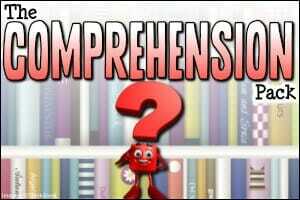 Our HUGE Comprehension Pack was added to Teaching Packs! A set of Euro 2016 Challenge cards was added to the Goody Pack. Thanks to our member Grant for this suggestion! New sets of letter styles were added to the Display Letters Pack. The Olympics Pack was added to our collection of resource packs. The Coordinates Pack was added to our set of teaching resource packs. A new history pack was added to our collection too… The Ancient Greece Pack. We created additional versions of the resources in the Decimals Pack that use the term ‘Ones’ instead of ‘Units. Thirteen new sets of letter styles were added to the Display Letters Pack. Four certificates were added to the Phonics Pack. Seventeen new letter styles were added to the Display Letters Pack. The Phonics Pack was added to Teaching Packs. Twenty new mental maths quizzes were added to the Mental Maths Pack. We completed the Display Letters Pack. It now includes 250 different sets of letters, but we’re happy to accept requests for new styles from our lovely members! Our fortieth resource pack, The Growth Mindset Pack, was added to our collection! We created a new, exclusive Facebook group for our members. New ‘square numbers’ posters and cards were also added to the Number Pack. We redesigned the site a little, in order to cope with the increasing number of resource packs! The Member Dashboard also got a new look. 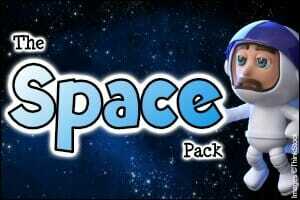 The Space Pack was also published for our wonderful members. An editable set of Letter Jumble resources was added to our Goody Pack. We also added the 3D Shapes Pack to our resource collection and started a new Display Letters Pack. A set of Viking Thinking Challenges were also added to our Vikings Pack. Our 36th resource pack was added to the Members Area… the Report Writing Pack! We also added another new resource pack… The Angles Pack! A set of 28 Activity Challenges was added to the Early Human History Pack. Thanks to Duncan who suggested this in our Members’ Forum. We also added alternative versions of the resources in the Instruction Writing Pack. These are for older learners and do not include the cartoon robot character. An additional version of the Explanation Writing Pack was also added, for use with older learners. Another new resource pack was added to the site – The Early Human History Pack! Additional versions of the resources in the Narrative Writing Pack were created. These do not include the animal characters and are more suitable for older learners. Thanks to our members who suggested this. Editable versions of the examples in the Recount Writing Pack were created, so that teachers can edit and improve them with their class. Thanks to Shirley for this suggestion. The Number Pack was published! Following the success of our Fractions and Decimals Packs, we created a new Percentages Pack for our members. Eight sets of word problems, linked to a TV Guide and a train timetable, were added to the Telling the Time Pack. We also added some new Story Endings resources to the Narrative Writing Pack. Ten more pages were also added to the Settings Vocabulary resource in this pack. The Wonderful Words Pack was also updated to include alternative American English versions of many of the resources. We added a Shapes Prefixes poster to the Shapes Pack, to help your children to remember the names of different shapes. We also created a set of new certificates for older learners and added them to the Classroom Rewards Pack. Nine new Reading Corner resources were added to the Classroom Essentials Pack. Thanks to Billy for this suggestion! We created a new Listening Skills Pack and uploaded this to the Members Area. An answer sheet was added to the Shape Jumble activity in the Shapes Pack. Thank you to Natalie for this suggestion! Another pack was added to our collection of writing resources – The Explanation Writing Pack. 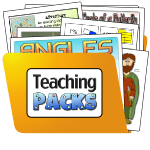 Our thirtieth teaching resource pack was added… The Vikings Pack! We added our new Grammar Pack to the Members Area. This has been an extremely popular request! The Punctuation Bookmarks (in the Punctuation Pack) were updated so that ‘capital letters’ and ‘full stops / periods’ were next to each other. Thanks to Val for her suggestion! Another new resource pack was created… The Human Body Pack. We also added a new Teaching Packs Forum to the site, to enable our wonderful members to share ideas and ask for advice from each other. The twenty-seventh resource pack was added to the site… The Decimals Pack! We created an answer key for the Final Challenge in the Punctuation Pack. Thanks to Ken for the suggestion. We also made some editable Word of the Day posters for our Wonderful Words Pack. Thanks to Caroline for requesting these. Some editable visual timetable cards and labels were also added to the Classroom Essentials Pack (as suggested by Kathy). A set of new Classroom Warning Signs were added to the Goody Pack to inform visitors that learning / teamwork / achievements are taking place in your class. The Wet Play Pack was published, offering educational resources and printable goodies for your children to explore during break periods when it’s raining outside. Two new English / Literacy resource packs were published. These were The Recount Writing Pack and The Narrative Writing Pack. A new resource pack was added to the site… The Shapes Pack! We also updated our Shapes Pack, to include additional versions of the resources for those members who use the term ‘trapezoid’ instead of ‘trapezium’. We added some WALT / WILF / TIB and WAGOLL posters to the Goody Pack. Thanks to Elisa for this great suggestion! Following other suggestions from our Facebook followers, we also added others based on the terms IALT, LI, LO, NS, SC and STP! Our Classroom Rewards Pack now has editable versions of all of the certificates so you can add your own text inside the box on each page. We added two new activity sheets to our Egyptians Pack… a quiz and a vocabulary challenge. One of our wonderful members, Charlie Smith, shared some helpful contents lists for our Early Morning Activity Pack, Early Morning Activity Pack 2 and Thinking Skills Pack! The Wonderful Words Pack was published for our members to use! We also added another new resource pack… The Writing Prompts Pack. A set of new Punctuation Checkers was added to our Punctuation Pack. Thanks to Ceri Reynolds, one of our members, for this suggestion! We also updated the Mental Maths Tricks posters in the Mental Maths Pack with fourteen new pages. Thank you to Ushma Mahomed for sharing lots of her fantastic maths strategies with us! A new option was also added to the Members Area, allowing existing members to renew their accounts using a debit / credit card payment. Updated versions of our Early Morning Activity Packs were added, for use with older learners and for those who don’t work within school settings. We also added a payment option to the site, allowing new members to join with a debit / credit card. We also added more information about our popular school membership packages. We added cover / title pages to all of our resource packs (in a variety of sizes and orientations). These can be used as front covers for your own teaching resource folders or as title pages for children’s topic books. A new ‘Star of the Day’ banner and a certificate were added to the Classroom Rewards Pack. Thanks to Alison for this suggestion! Our Classroom Essentials Pack has also been updated with new resources that use the term ‘Computing’ (in addition to ICT / Technology) and ‘English’ (in addition to Literacy). The Telling the Time Pack was also published! Two new packs were completed in June… The Thinking Skills Pack and The Early Morning Activity Pack 2. We also added some new activity sheets to our Calculator Pack for our international members, enabling them to be used in places where dollars and euros are the local currency. New editable versions of the writing checklists were also added to the Instruction Writing Pack and the Persuasive Writing Pack. A new feature was also added to the site, enabling our members to earn additional months of membership by telling a friend / colleague about Teaching Packs! One of our most frequently requested packs, The Egyptians Pack, was finished and uploaded to our Members Area. The Mental Maths Pack was published with 20 audio quizzes and lots of accompanying Maths resources. Lots of our resources packs were updated for our international members (referring to differences in currencies and using variations in vocabulary / language). After many months of work, The Science Vocabulary Pack was also published. We also added a new Literacy pack to our collection… The Instruction Writing Pack. The menu bar was also updated on the site so that it was big enough to include all of our new resource packs! 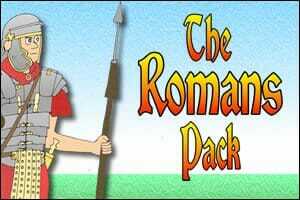 The Romans Pack was published to help you discover this exciting period in history with your class! The forum was closed to enable us to spend more time making new resource packs. Some free Christmas challenges were shared on our blog. The Members Area was also updated to make it easier for members to download our packs, change their passwords and share their feedback. New servers were also set up to speed up downloads for our members! The Christmas Pack was added to help our members to prepare for the festive season. The Teaching Packs site was also given a new design! More resources were added to the Goody Pack (Flipbooks, Multiplication Square Challenges and Hundred Square Challenges). We made personalised Christmas posters for all of our members. We also celebrated the success of the site with an exciting giveaway! Another new Maths pack was published… The Fractions Pack. New resources were added to our Goody Pack, including Finger Spaces pointers, Homophones posters and a set of 16 Learning Ladders. The Persuasive Writing Pack and the Early Morning Activity Pack were both created and shared with our members. A new Member Reviews page was added to the site, allowing members to share their thoughts about our resource packs. The Pirates and Calculator Packs were also updated with new additional teaching resources. Extra resources were also added to the Punctuation Pack, for teachers in countries that use slightly different terms for some of the words (e.g. full stop / period, speech marks / quotation marks). We also created a new Teaching Packs email newsletter and a Preview Pack to share with teachers who were interested in becoming a member. Two new resource packs were created… The Calculator Pack and The Classroom Essentials Pack. The Classroom Rewards Pack was added to our Members Area. The Maths Vocabulary Pack was published. The Punctuation Pack was updated with alternative versions of the resources that use the terms speech marks and quotation marks. The Goody Pack was created with lots of additional bonus resources for our members. 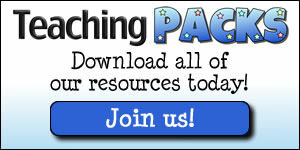 Our Teaching Packs Blog was created to share news and updates about the site and its resources. Teaching Packs was launched with three resource packs… The Pirates Pack, The Punctuation Pack and The Times Tables Pack.